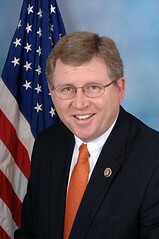 The editorial response by The Oklahoman to the recent U.S. Rep. Frank Lucas controversy makes a point or two, but those points have absolutely nothing to do with the Congressman’s blatant hypocrisy and lack of compassion for the hungry. This month, Lucas, R-Cheyenne, voted in favor of a farm bill that broke a decades-old precedent because it lacked aid to the poor in the form of food stamps, now known as Supplemental Nutrition Assistant Program (SNAP) benefits. Yet the bill contained the type of subsidies that the Lucas family farm business has enjoyed for nearly two decades. U.S. Rep. George Miller, a California Democrat, issued a report recently that ripped Lucas and 13 other House members for voting in favor of subsidies for themselves in a bill that lacked the renewal of SNAP. Note that the report specifically cites the SNAP issue as the basic reason for the report. Lucas, the report showed, has received $40,613 in farm subsidies. Lucas, who represents Oklahoma’s 3rd Congressional district, has also led the charge in trying to reduce the country’s food stamp program in the Republican-dominated House. The editorial does go on to claim, “Democrats portray Republicans as hypocrites if they seek to reduce federal expenditures but benefit from government spending in any way. Nonsense.” Again, this point has little to do with the report or the actual facts of the controversy. The bill doesn’t just “reduce federal expenditures.” It technically ends food assistance for the poor. The hypocrisy comes in the disparity between what the House members personally gain and the complete disregard for the unfortunate. That is what the report was about. The editorial makes a final point about how Lucas, as chairperson of the House Agricultural Committee, had previously brought a bill before the House that only contained cuts to SNAP and this was opposed by Miller. But, again, that’s the point. Miller and many other Democrats, whether you agree with them or not, are opposed to major cuts in the country’s food stamp program. Yet the editorial argues, “[Miller] has no credibility in complaining about the lack of food stamp funding that he rejected.” It’s almost impossible to deal with this level of sophomoric argumentation. Let’s try. Miller is against major cuts to the food stamp program so he votes against that. Then he’s obviously against the elimination of the food stamp program so he votes against that. Again, you can disagree with this basic political position, but how in the world does it result in “no credibility” or inconsistency? One of Lucas’ qualifications for his farm subsidies was that much of it was received recently because of drought conditions on his farm. Fine. That’s the point. I don’t begrudge that government assistance, but in the last few years there has also been a “drought” in the number of jobs in the country. It’s the same thing. Why does Lucas think his farm business is more important than helping a hungry child whose parents have lost their jobs? That’s what Miller’s report is about, not about what Democrats or anyone else thinks about subsidies. The disingenuous nature of The Oklahoman editorial page is at least one reason why so many members of our Congressional delegation can get away with such hypocritical and, frankly, what many people see as deeply immoral behavior that favors themselves and the wealthy in general. It’s the largest newspaper in Oklahoma that has “no credibility,” not some California Congressman who has the guts and facts to tell the truth.